So, it’s Sunday morning and your family is asking for (or demanding) waffles. You don’t want to set yourself “off track” but you’re thinking, how can I make waffles a little bit healthier, without sacrificing taste? The following recipe yields 3-4 large waffles. By adding protein powder, you are adding about 8g+ of protein per waffle! 2. Place dry ingredients in a bowl and mix, then add wet ingredients and combine. 3. Use a 1/2 cup measuring scoop to pour onto waffle maker. 4. Cook 2-3 minutes and enjoy with almond/nut butter or 100% maple syrup! – Be very careful when doubling this recipe, as this may result in the waffles being overly dry. The best thing to do in this case is to leave all of your ingredients out, and then make the second batch. 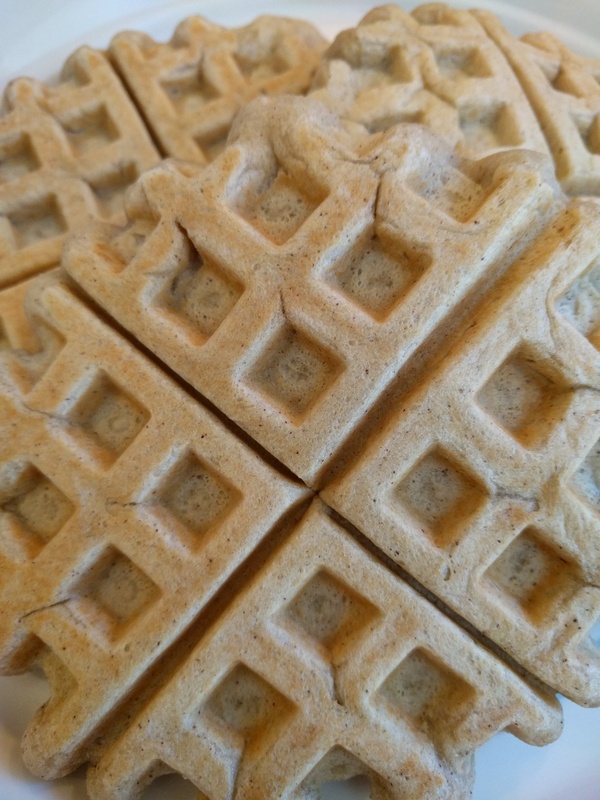 – You can add more/less protein powder to your waffles to your liking – this will not alter the texture! – Freeze them! (If there are any leftovers, that is!) Who needs Eggo? Let the waffles cool COMPLETELY, and then wrap each individually in wax paper, & seal them in a ziploc bag. The waffles maintain their texture when reheated!